There is a reason why we say that Islam is not the religion of peace when young women are being slaughtered in the name of it. Sadly, another young girl was killed in an honor killing and her killers were wandering free. 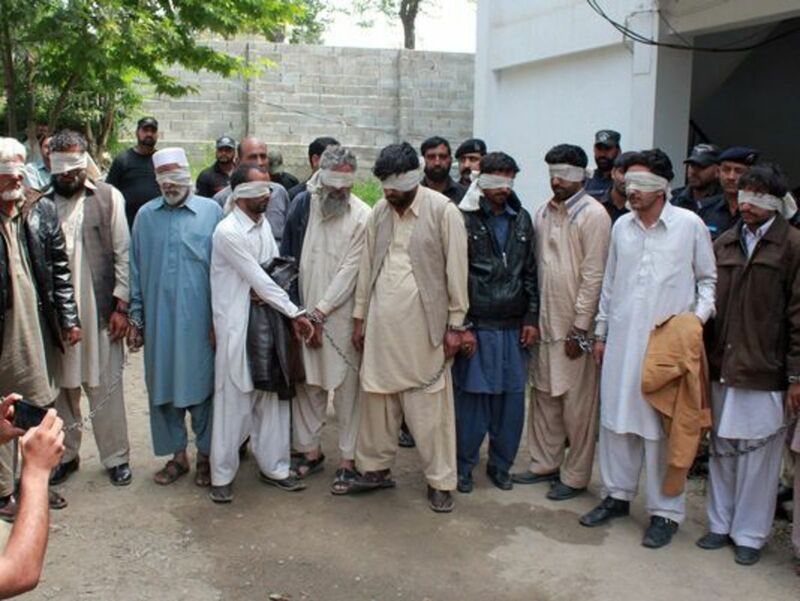 Thirteen people have been apprehended in Pakistan for reportedly participating in the vicious honor killing of a 16-year-old girl. The teenager was burned alive on April 29 in the village of Donga Gali, about 30 miles northeast of Pakistan’s capital city, Islamabad, according to Reuters. A group of 15 members of a local tribal council, called a jirga, allegedly participated in the killing in retaliation for the girl’s role in helping a couple from the nearby village of Makol elope. The victim, only known as Ambreen, was taken from her home to an abandoned home where she was drugged and placed unconscious in the backseat of a parked van. Her hands were reportedly tied to the seats to prevent escape before the vehicle was doused in gasoline and set ablaze. The teen’s burned body was found by authorities last week. District police arrested 13 of the 15 individuals involved in the killing May 5. The 13 people arrested, which include the victim’s mother and brother, will be tried in an Anti-Terrorism Court. Two weeks ago, Ambreen assisted a local couple elope and leave Makol for the Pakistani city of Abottabad. When the members of the jirga realized the couple was missing, they called a 6-hour meeting April 28, during which they agreed to kill the girl as punishment for damaging the village’s reputation.